News about the trailer ! Time for an update! We are currently working hard on the new video for Dungeon Kingdom. We have plenty of assets created by 3D artists, but it takes some time to make them “ready” for the game’s fully dynamic environments. We have made some great progress and we are confident that you will enjoy the results. We are very excited about what you will discover in the trailer! Lastly, we want to mention that thanks to you, we have so far reached 27% of our initial goal. We have also reached 95% of the way to the top 100 on Steam Grenlight. We very much appreciate all of your help, support and contributions! Don’t forget, you can still help us to fund the game with our Indiegogo campaign, so we can improve it and release it sooner! The crowd-funding campaign for Dungeon Kingdom is now LIVE on Indiegogo! Many thanks in advance to those who’ll support us! Support Dungeon Kingdom on Steam Greenlight ! Thanks to our supporters ! New features will be unveiled soon ! Stay tuned ! The Dungeon Kingdom official Forum is online ! Dungeon Kingdom desktop meet Steam Greenlight ! Thanks to those who already voted for us and for the kind comments ! 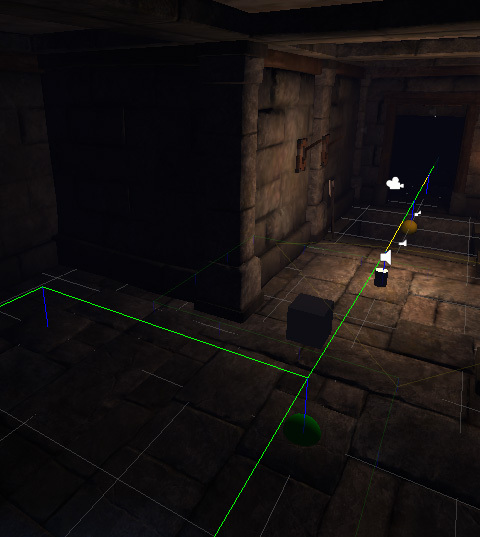 In an old school Dungeon Crawler, you can avoid writting a complexe AI navigation system : the square based architecture make everything easy to handle, and most games of this style process that way. But that’s the other games. For The Dungeon Kingdom, the AI has to be smart, and the navigation system efficient ! 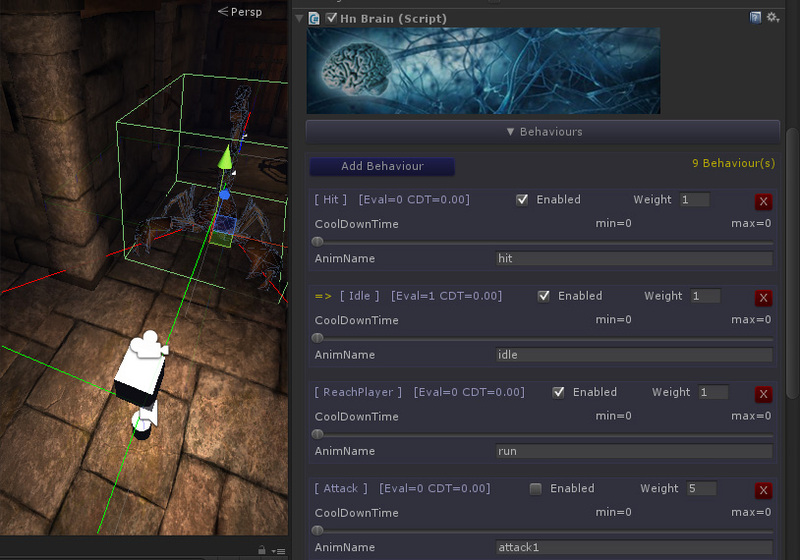 Ah..and i forgot to mention, everything need to be dynamic ! 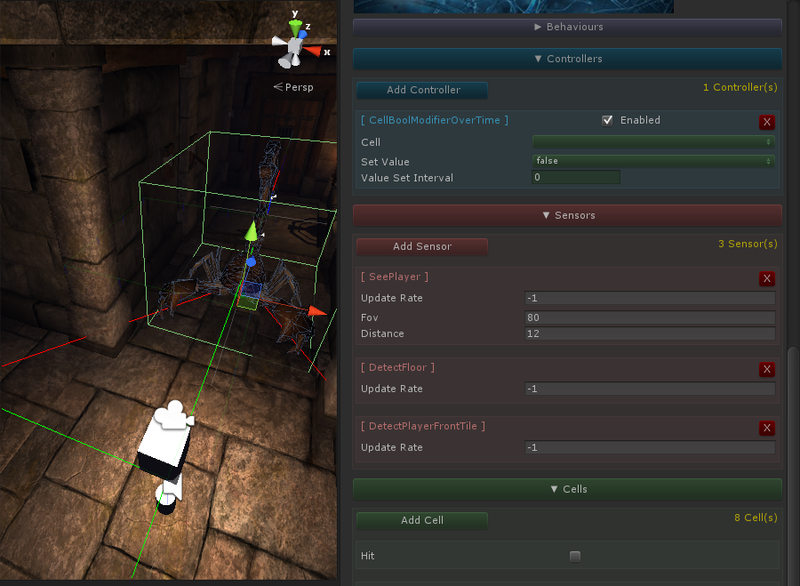 I did check the available tools & plugins for Unity, but most are simple A* system using a static graph or build by hand into the tool, wich is the opposite of what i needed for The Dungeon Kingdom…! So instead of spending ages seeking for the pearl, i wrote one ! So i created a bunch of scripts to automatically generating the navigation graph at runtime. 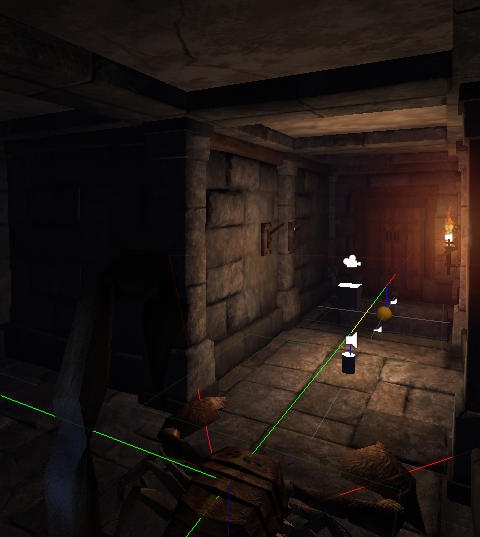 In The Dungeon Kingdom, the game is building the navigation graph when playing. One feature i added is a crowd factor to the waypoints, so the creatures, depending their size, can push the pathfinder to temporaly disable the waypoint from the graph for the others navigating agents. Another feature: the graph has informations about locomotion type and state of the links : for example some of waypoint can require a monster to be a fly type of creature to reach it. About states, some access can be dynamically disabled, or like when you open a door (wich is automatially detected by the dynamic navigation graph building) an access to a waypoint can be restored / added. Same for pit. Actually, there’s no difference between a door or a pit for the pathfinder, it uses the same flexible system. The wire lines are drawn by the debug mode inside the tool, it shows the generated navigation graph. The blues lines are waypoints, green are opened links to any locomotion type. Yellow lines are links opened to flyers only (here because the pit is closed). Red is closed link. Next time we’ll talk a bit about render optimizations and graphics options, or we may post a new in game video… So keep an eye on the website. – Marc ‘Weren’, is the original writter of the world in wich The Dungeon Kings world takes place. Worth to mention it to newcomers, The Dungeon Kings will get few sequels, and has a strong story and a deep history context. Weren is working hard to make richer the story of the first chapter, and improve the current story telling. 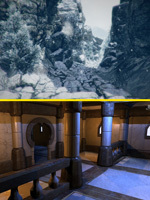 – Ralf, a talented artist who has made the Dungeon Master art pack for Dungeon Master & Chaos Strikes Back mod for Grimrock. – Jason ‘Seriously Unserious’ will care about the community on our own forum but also on other websites and help for translation. They are great guys and passionate, and our best wish is to let you feel it while playing The Dungeon Kings !